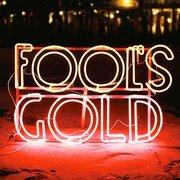 Listen: Fool's Gold - "Street Clothes"
Fool's Gold will release their sophomore record Leave No Trace on August 16th on IAMSOUND Records. Get a taste below with "Street Clothes." SoM's Ryan Lowell dug into their self-titled debut record and discussed the band's worldly sound with guitarist/producer Lewis Pesacov back in 2009 -- check them out and enjoy the sounds. Blog: American Babies - "Weight of the World"